Go Ape! 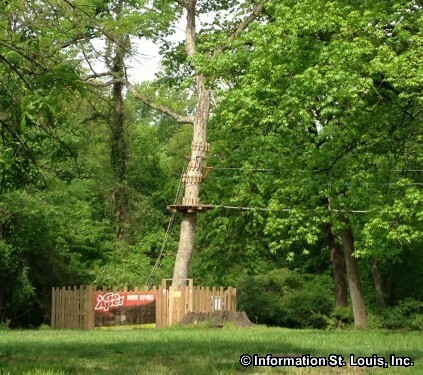 Treetop Adventure is the first treetop zip line course in Missouri and features over 2,624 feet of zip lines and obstacles. 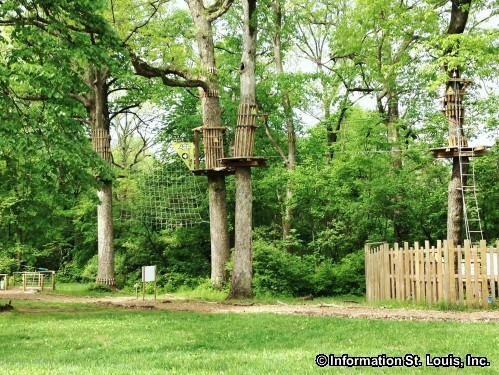 It is located in the upper level of Creve Coeur Lake Memorial Park in Maryland Heights, Missouri. 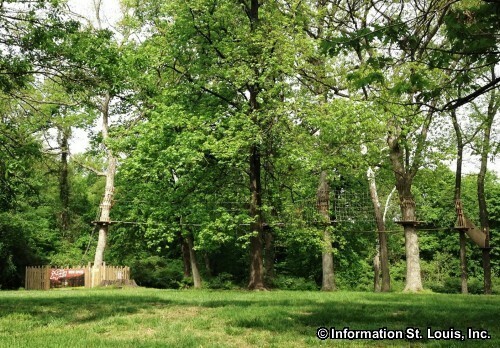 Features of the treetop course are 5 zip lines, two which are over 400 feet long; 39 crossings, 2 Tarzan swings, Talloires Crossings, Flying Carpet, Double Stirrups, Spider's Web and the first skateboard zip line in the region. The course takes 2-3 hours to complete. Minimum age to enjoy Go Ape! is 10 years old and persons must be over 55 inches tall (4ft 7in). Prices vary per age. 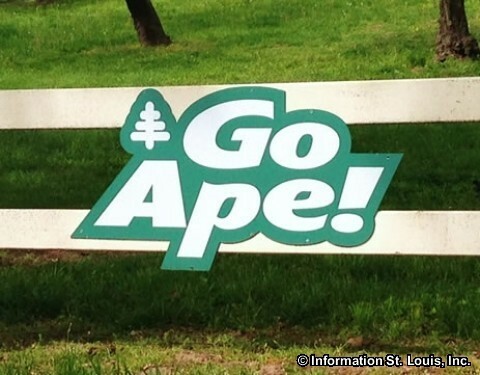 Times and days vary according to season, but Go Ape! is open March through December. Check the website for more information and current schedule or to book your Go Ape! 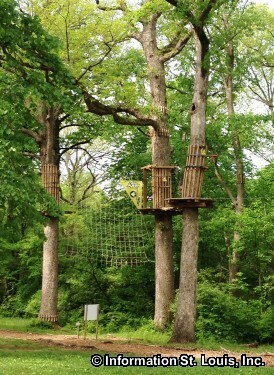 Treetop Adventure online.